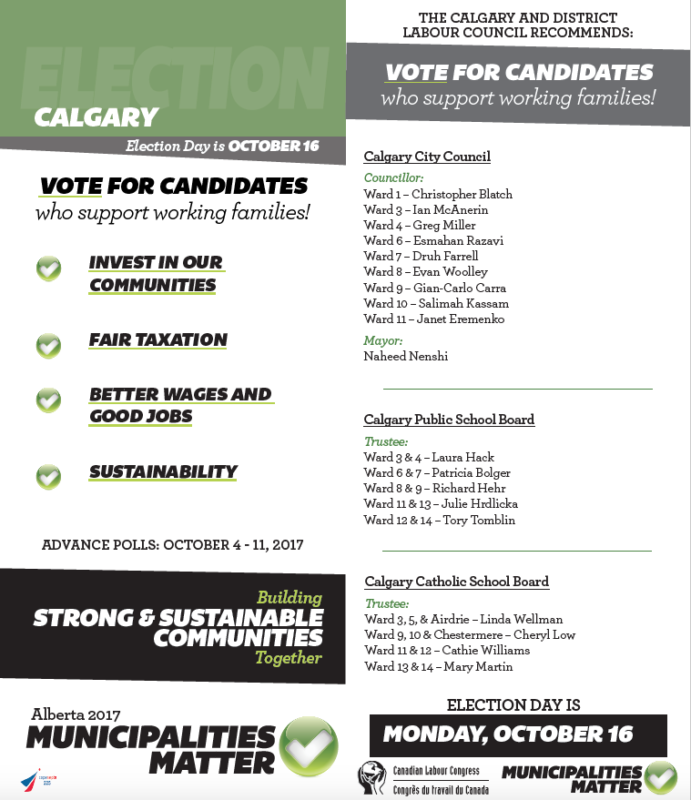 As we get ready to head to the polls on October 16th in our civic elections, your local labour councils have been hard at work sussing out all the local candidates in each ward in case you can’t. 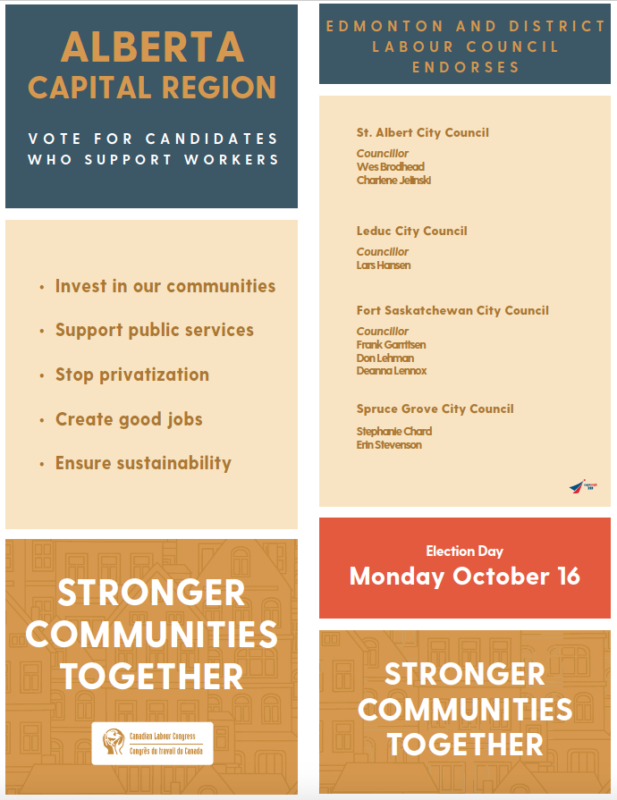 Sometimes it’s tough to find the time to do the research needed to make sure we’re picking political candidates who share our working Albertan values in our respective communities. Members often ask us for our recommendations and we are more than happy to share our knowledge on who is best to help them in their constituencies in relation to worker values. Every civic election, local labour councils work very hard to vet candidates through interviews and questionnaires so that they can make recommendations to us about who shares our value system. We all want city and town councils that are representative of not only our opinions on how our cities and towns ought to be efficiently managed, but also that they are representative of us demographically. There must be better representation in terms of women and visible minorities and there is a lot of work to be done in this regard. 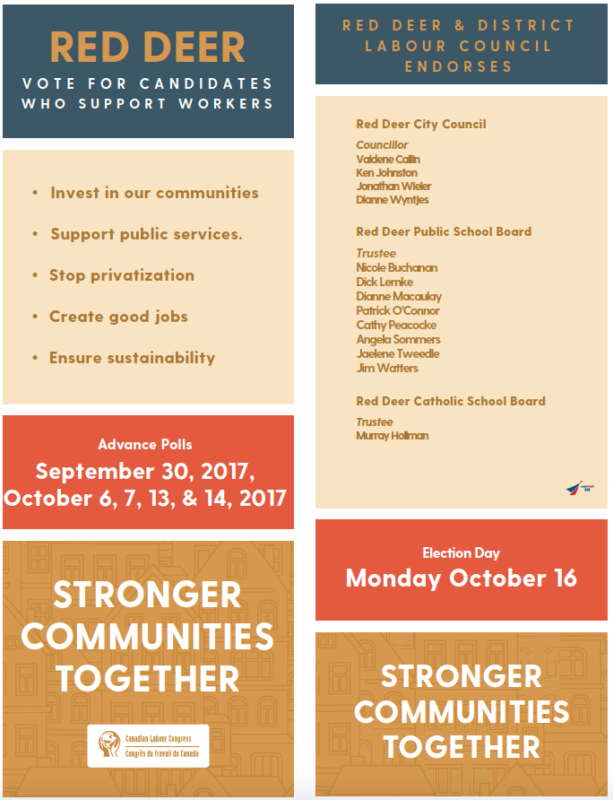 Our councils must reflect those they represent and this year the labour movement is working hard to ensure change and equity occur. 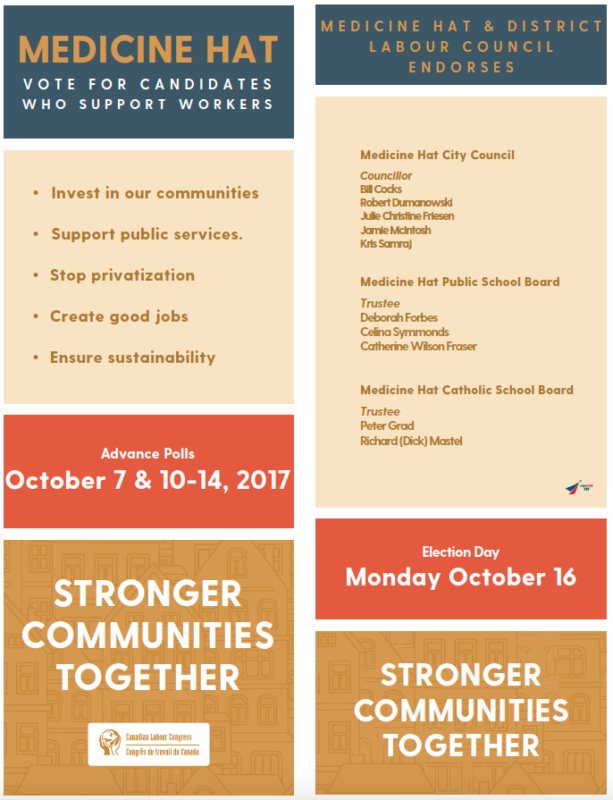 For other municipalities, simply do a Google search by typing in “advance polls [insert your town] election” and your town’s information should pop up. 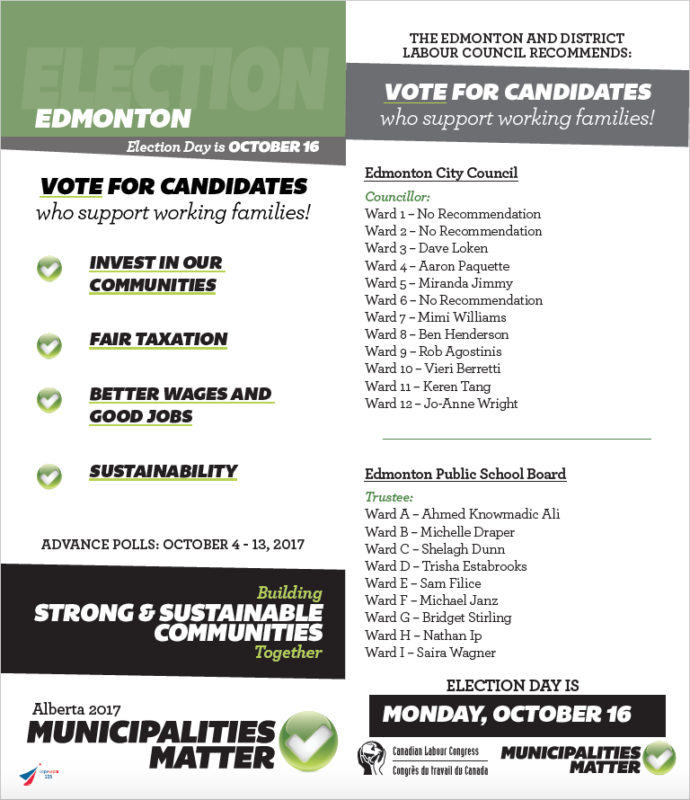 Please see below the endorsement lists from Edmonton, Surrounding Edmonton areas, Calgary, Medicine Hat, Lethbridge, and Red Deer. 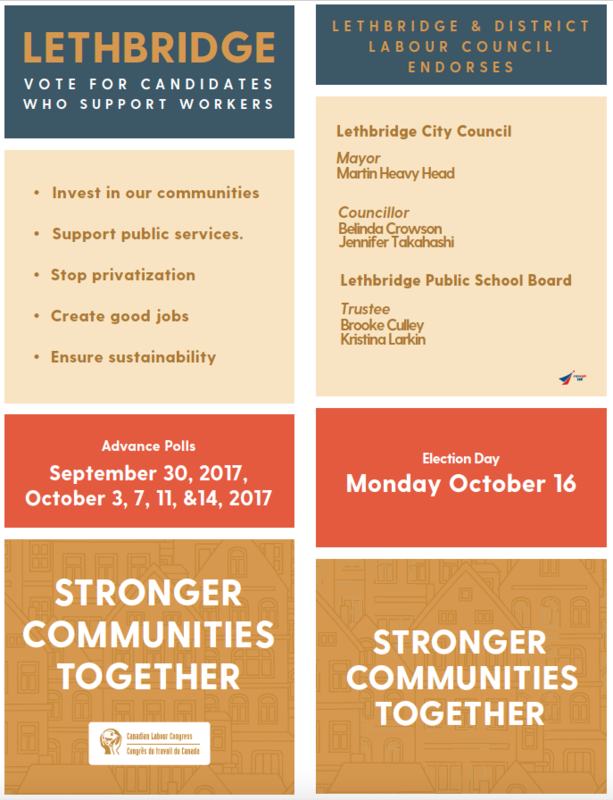 Feel free to print yours and take it with you when you vote. These are suggestions for you based on a lot of research and we hope you find these recommendations helpful.